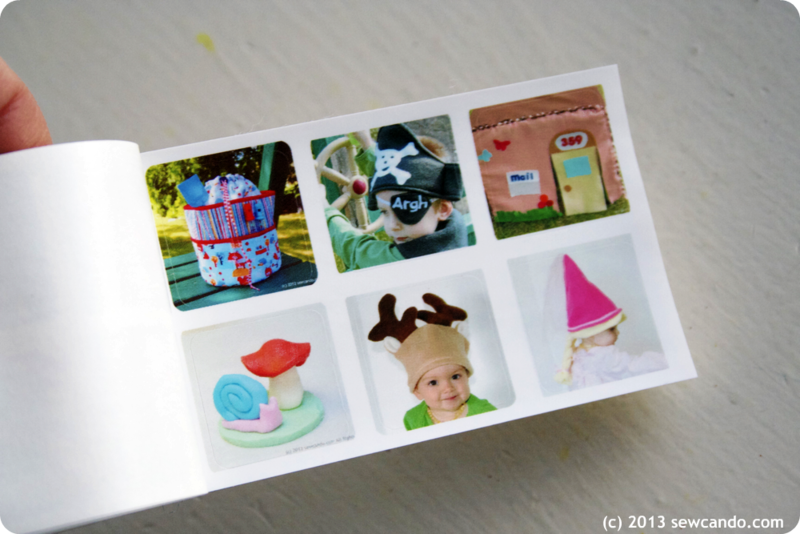 Have you always wanted to take your blog or crafting business to the next level with some creative handout materials? 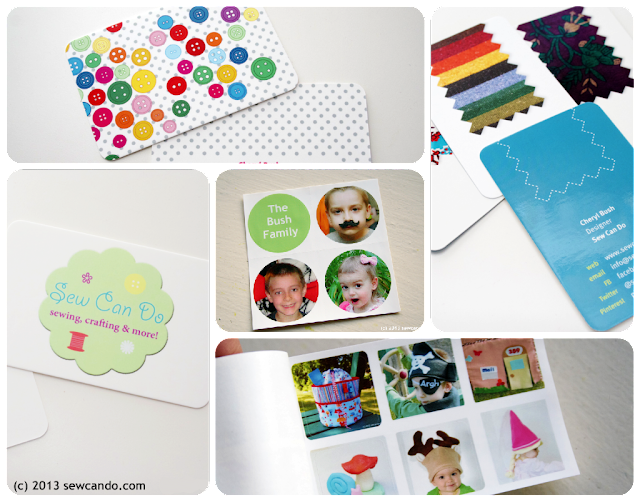 Sleek custom business cards, stickers, gift tags - the stuff all the big crafters seem to have? It's easy thanks to MOO. I had a chance to try out them out and its amazing printing services and now 3 lucky Sew Can Do readers can too! I've used a lot of different sources for printing business cards, labels and cards over the years. Most have been ok, but I always felt that to make materials that looked really special you had to have amazing graphics skills or a big budget. So I was excited when MOO asked me to pick a few items to try and review. I also made this design-your-own version with my own logo. I opted for rounded corners on all of them, but you can go traditional and there's always 4 color printing on both sides - no extra costs for any of those options either! And they would also make easy product branding, or work for special occasions like weddings. You can even pick the color of the match-box style package! So many possibilites! And the customer service was excellent too. I definitely plan to buy more MOO in the future. 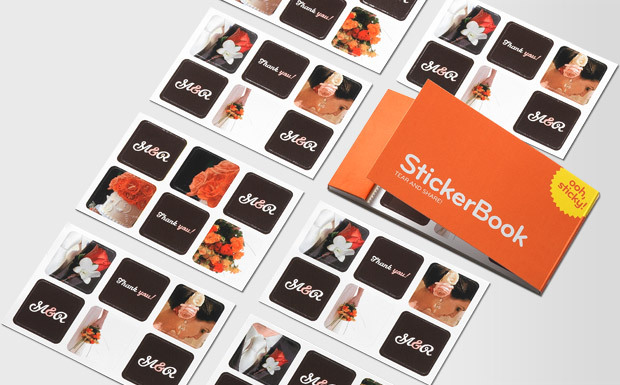 Now how about a chance to win some MOO for you??? 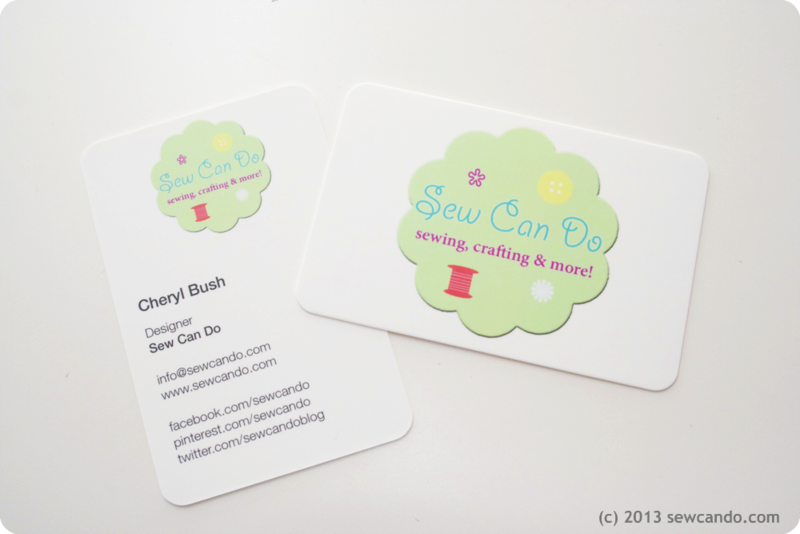 50 business cards or 100 MiniCards! I was not financially compensated for this post. I received free samples to review. The opinions are completely my own based on my experience. The sticker bit looks really cool. :) My girls are sticker nuts! 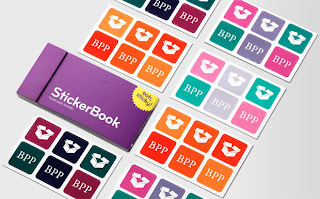 I like the sticker book. 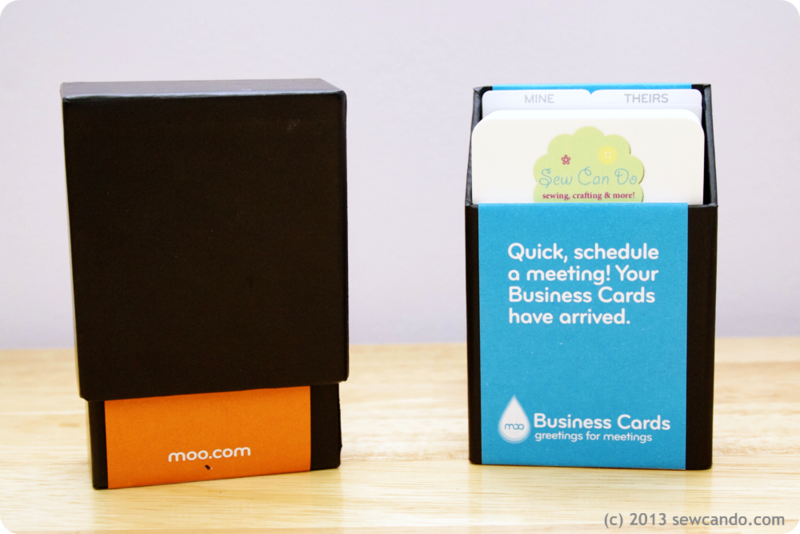 I have mini-Moo cards and they are great! It's really neat to be able to have so many different designs on the front while the back of the cards are all the same! I love the mini cards! They would be really great to out in packages from Etsy sales. I need business cards! I love the "Love Handmade" ones! 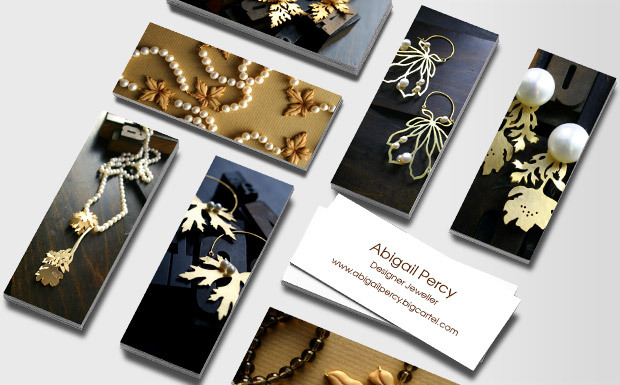 I am having some business cards designed now and would love to print them via MOO. I like all the products, but the stickers and mini-cards are especially cute! I like all of the products, but my favourite are the minicards. I like the facebook cards. What a fun idea. I like the Perfectly Pink business cards. Oh wow! I'm going to have to check them out, would be great for my sewing pattern business. I like the leather and brushed steal card holders! i like the louis marie augustin card design! What a great giveaway! I love the minicards! Thanks for hosting! I love the minicards! So cute and easy to carry with you anywhere! I love the Minicards at MOO's site. 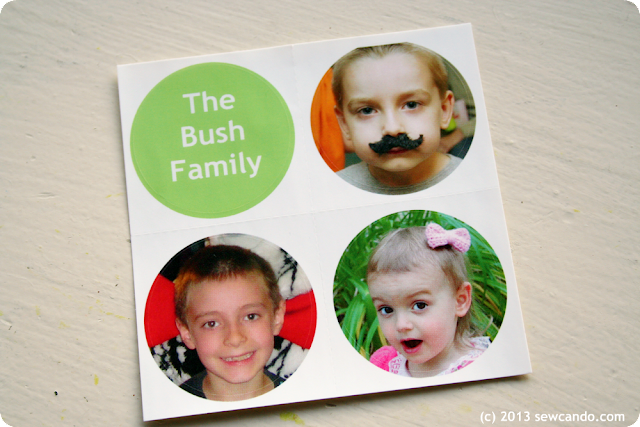 I love the mini cards - they have so many uses! thank you! I love MOO cards. The print-finity option is amazing, particularly on the minicards. Leather MiniCard Holders are great to go with the mini cards if I win! 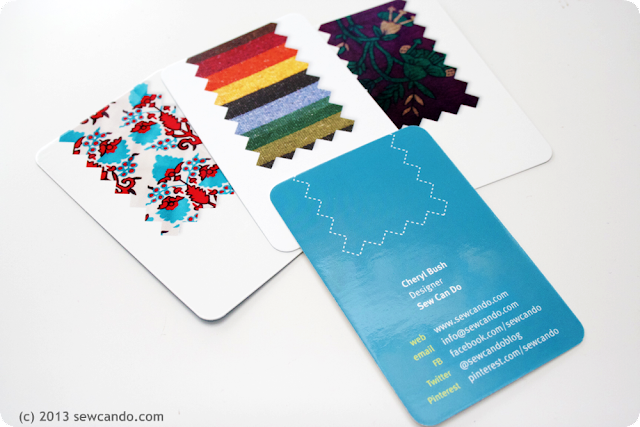 I really love the business cards with the Printfinity option! I love the Poloraid II business cards. 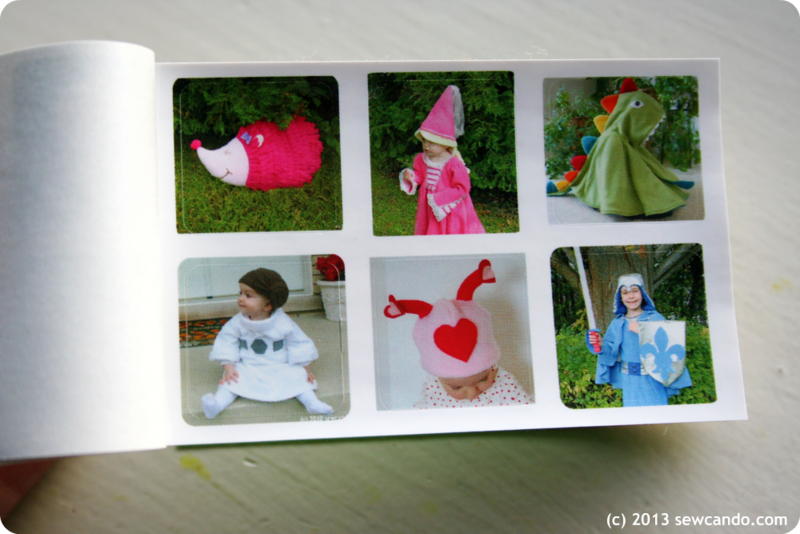 I love the moo cards ! I hope win to do some interesting to my blog ! My favorite design is the Wedding DJ (f) business card design. You've got a really good artistic eye there. I'd even say you could make an easy living doing digital printing in london. Good suggestions! I could use the button-filled design to personalize my pocketed folder and organizer. I like adding up some extra designs and colors especially to my stuff just to make them look more alive.